When we heard about Sensorio's Development Kit, our immediate intuition was to act on the possibilities brought about by the sensor-equipped socks and its ability to intricately track a runner's weight transfer. We also noticed vital personal data that athletes may be interested in that Sensoria doesn't reveal to its users. Our target demographic mostly consists of runners who are dedicated to maintaining not only their pace, but also their overall physical fitness and technique. 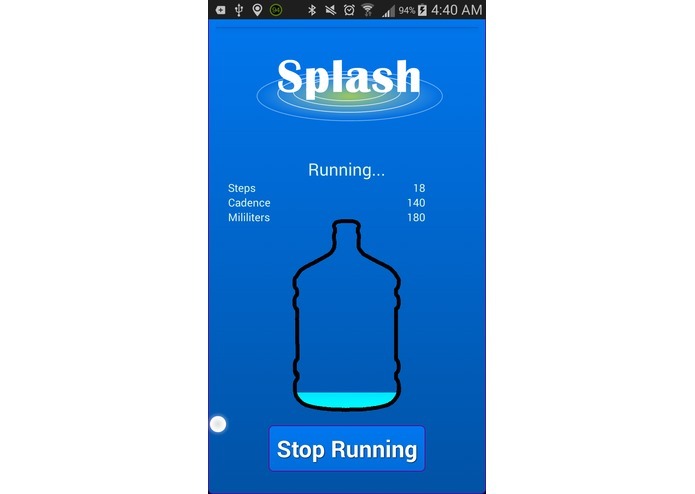 Though there are numerous other runner-assisting apps, we have our edge in quantitatively measuring dehydration and pronation. With overall global climates at their peak, it becomes increasingly important for athletes to stay hydrated, and Splash does this to the precision of milliliters, taking parameters such as weather, humidity, age, etc. The sensors embedded at the bottom of the sock in Sensorio's Development Kit enables Splash to detect under- or over-pronation by simply comparing the amount of weight put upon the left and right metatarsal bones. 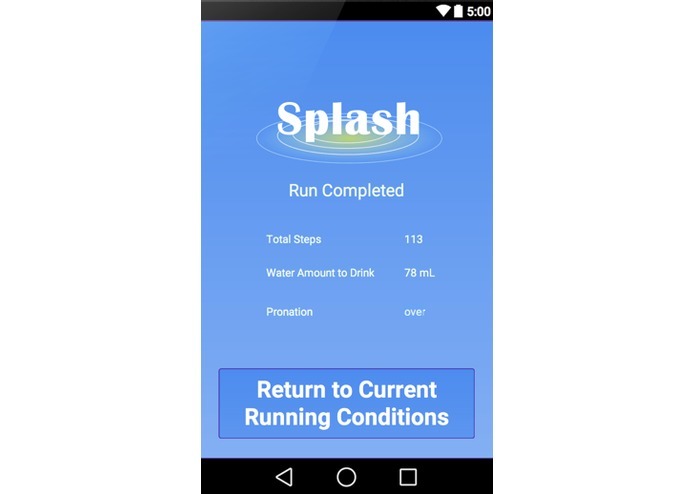 The running condition preview will also provide necessary information to runners concerning the quality of their immediate running environment. 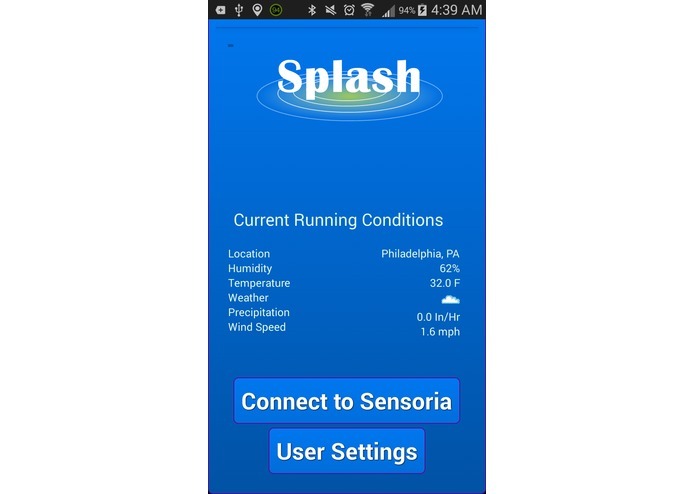 One key thing to notice about our program is that is does very little of what the Sensorio app already does; rather than trying to re-program what Sensorio has already made, we sought to expand on their vision and add features we found to be useful to even the most amateur of runners.